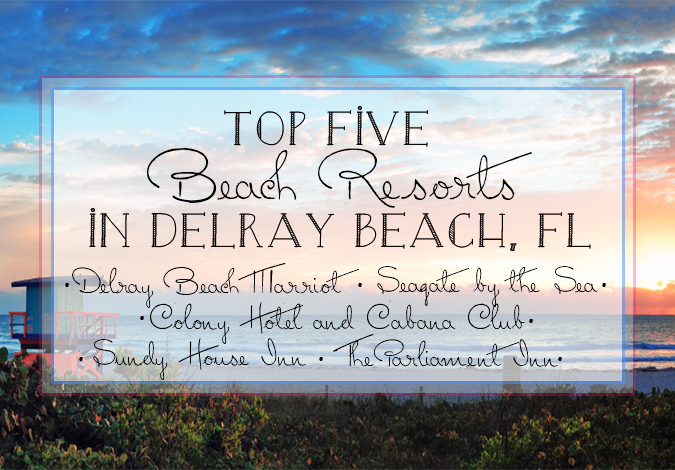 Florida's "Most Charming Seaside Town" and Its TOP 5 RESORTS in Delray Beach! Wednesday, August 5th, 2015 at 9:34am. Delray Beach is one of Florida's most charming, seaside cities. It has everything from beautiful beaches, warm and crystal clear ocean waters to an incredible nightlife and dining scene off of the famed Atlantic Avenue. Here are some of the top hotels and resorts that visitors have named their favorites to stay in when visiting Delray Beach.